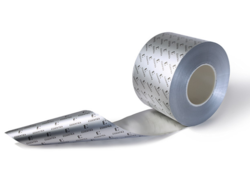 Brand: Heat Resistance Al Foil printing ink. Supreme quality Foil Printing Ink are efficiently used for printing on aluminum foil. Our collection of inks is appreciated for excellent print finish and high print density. Foil Paste WB has speciality that after printing of Foil Paste, Foiling can be done after any numder of hours or days. It will give extremely soft feel of foil print & very good washing fastness. Packing Type: As per Customer Request. 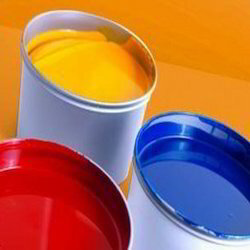 We offer inks for printing on aluminum foils which are useful in the printing processes. Our range of inks are having the basic requirement so that the inks adhere to the specific surface involved.